Please call us at 469-346-6871 if you have any questions. 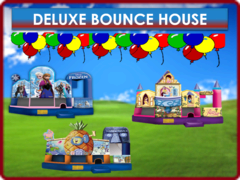 We are a local Carrollton Texas Bounce house rental company serving the Dallas Fort Worth Metroplex. 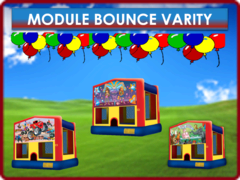 We have certified bounce houses that children love, like Disney and Pixar themed. 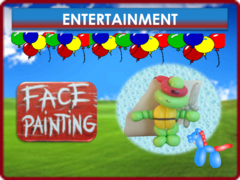 We also have items like, Its a Girl Thing, Sports Arena, Skee Ball, and they have 3D graphics. We specialize in making your event the talk of the town! We have a great selection with all of your favorite characters. 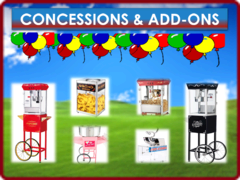 We also have inflatable slides, water slides, module house variety inflatables, chairs and tables, and concessions including: popcorn machines with cart, table top popcorn machine, cotton candy, hot dogs or egg rolls, entertainment, nacho warmer, sweet treats, Movie Night, Sport Arena, Shooting Stars, World Sports Game and more...give us a call at 469-346-6891 or reserve on-line. 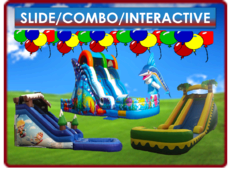 Gotta Bounce is a proud member of the Safety Inflatable Operators Training Organization.